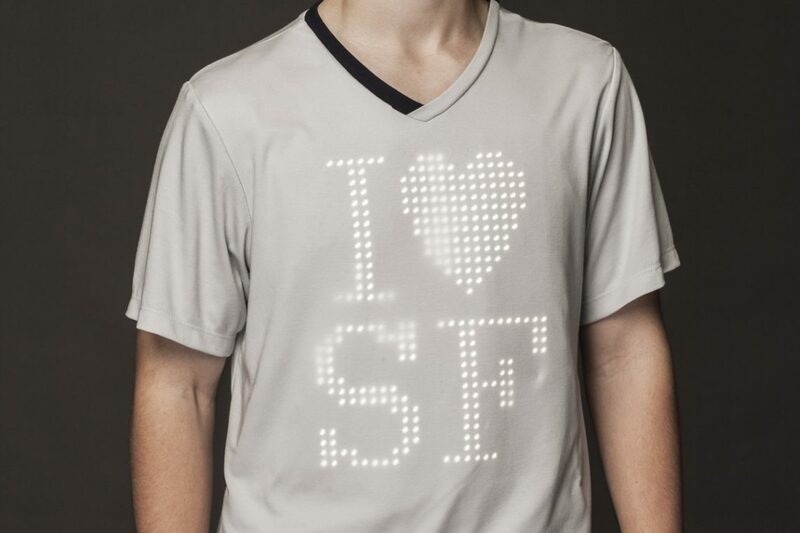 The washable, programmable, instantly customizable t-shirt for Ballantine’s marketing campaign. PRE-ORDER NOW! Geometry Darling, a custom sparkling color changing illuminated handbag.